Plan for a sensational 2019 with this gorgeous personalised hardback diary. 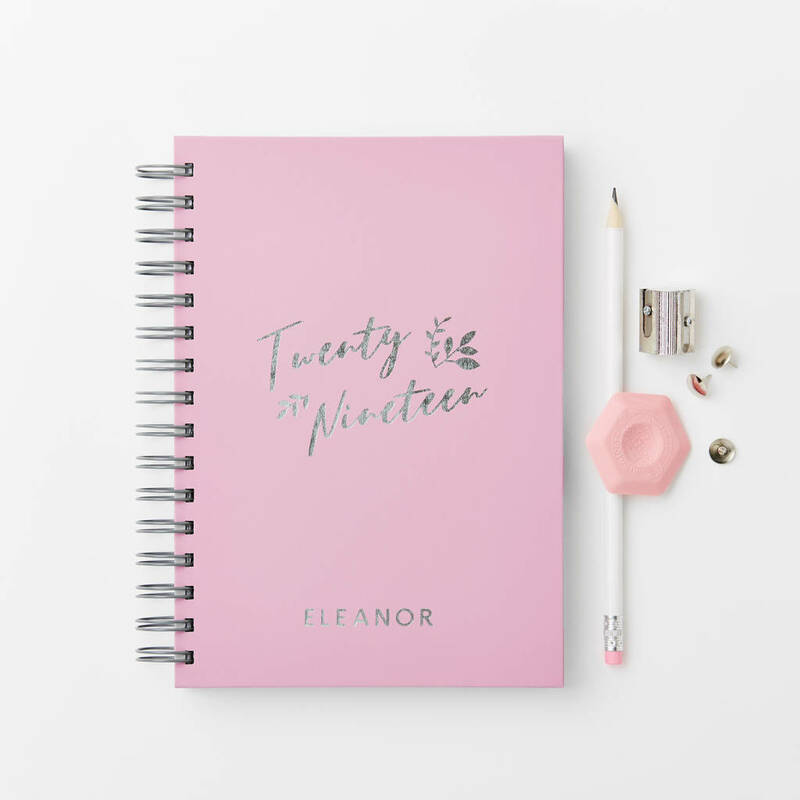 This charming 'twenty nineteen' hardcover diary would make a wonderful gift for the year ahead. 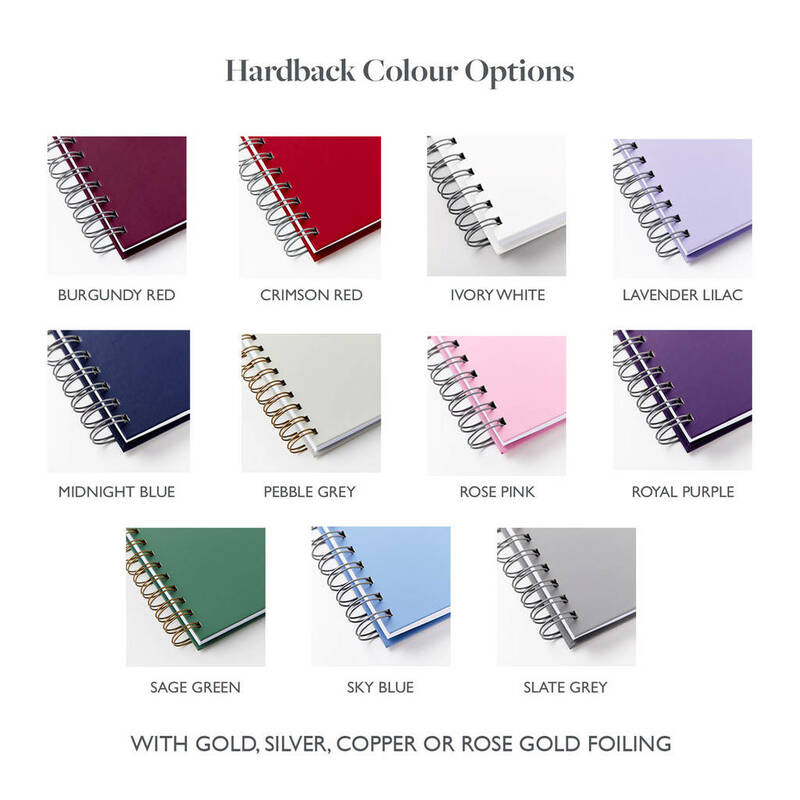 The personalised diary comes in eleven colour options to suit your style and a choice of foiling. 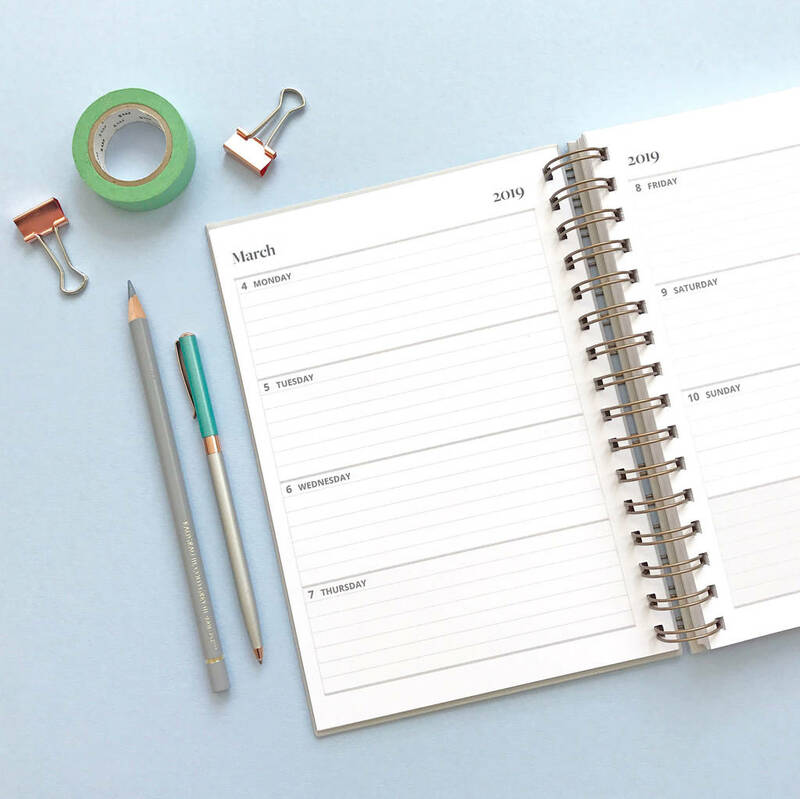 The diary is available in A5 and A4 sizes and has wire binding, so it can be easily flipped open or laid flat to capture important dates. 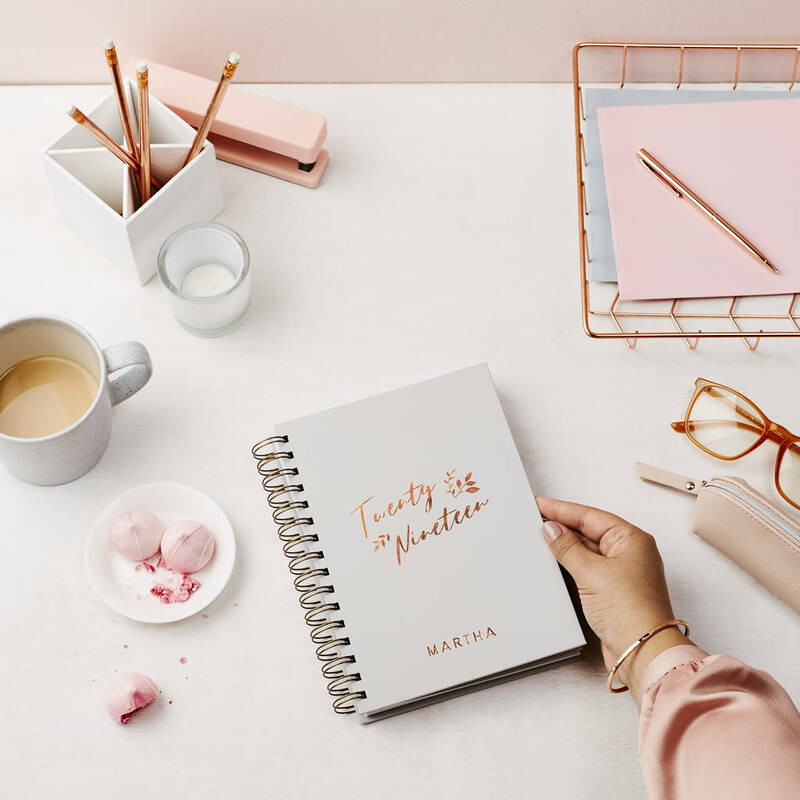 Inside is a yearly planner, weekly diary pages and additional notes pages printed on thick white paper. 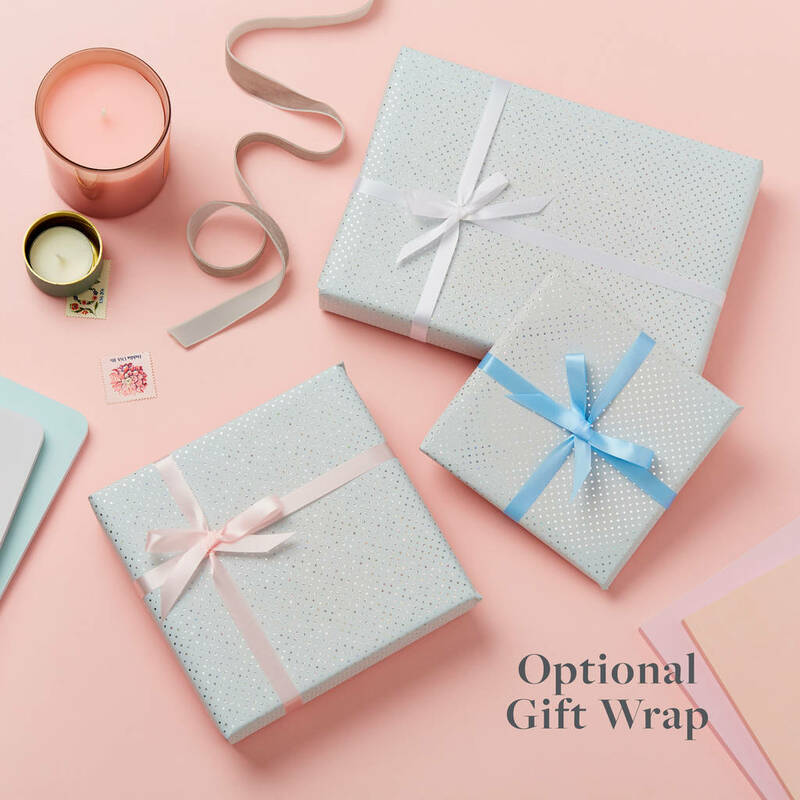 An optional personalised inside cover page can be added, which is made from a lovely thicker soft blue paper. Lovingly made by hand in our West London studio. The luxury hardback covers are coated in a specialist book cover material that feels soft to the touch and printed with real foil. 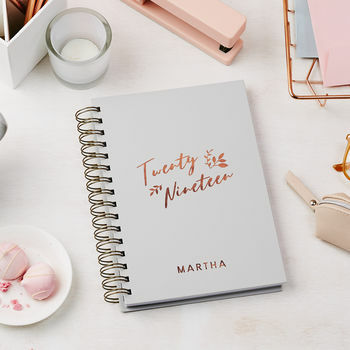 The diary is filled with a 2019 and 2020 yearly planner, week-to-view diary pages for 2019 and several notes pages printed on thick (120gsm) blank white paper. In total the diary contains 140 pages (or 70 sheets). 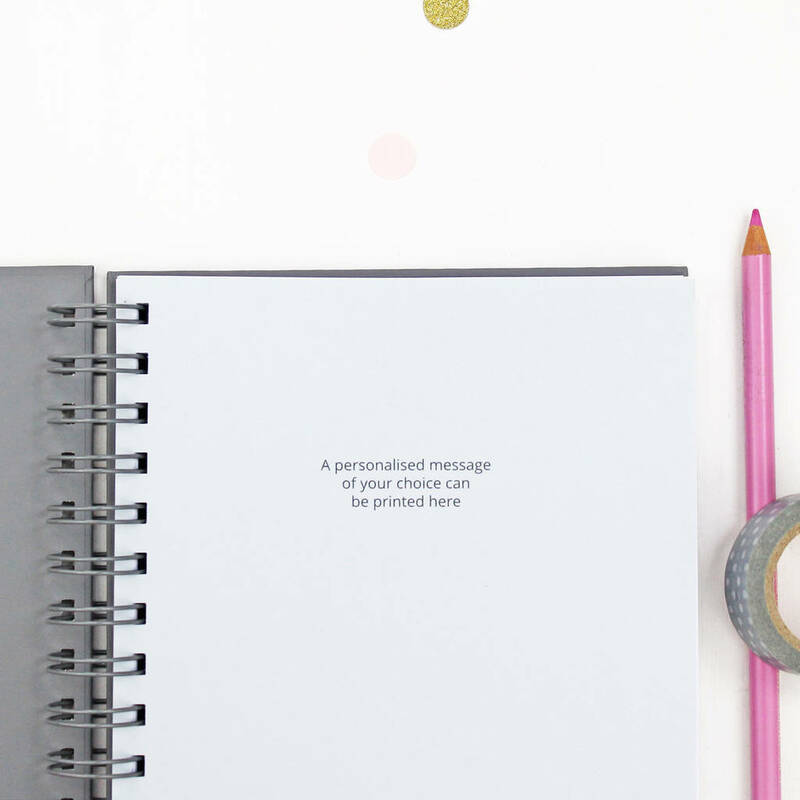 There is also the option to add a personalised inner 175gsm soft blue page. The A5 diary measures 15.2cm x 21.6cm and the A4 diary measures 21.3cm x 30.3cm. 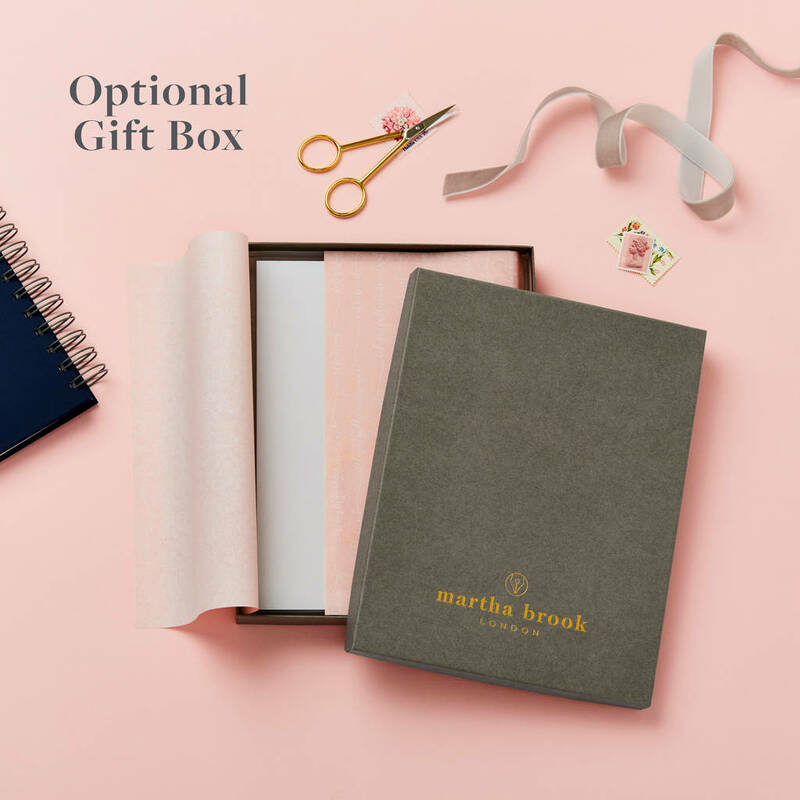 This product is dispatched to you by Martha Brook.